Wildflowers can be found anywhere, once you start noticing them, you will see them everywhere; when walking to work, going shopping, even in the middle of the city you will see some plants growing in pavement cracks or a butterfly bush growing out of abandoned roof tops. I want the other people to notice the beauty of these everyday plants and this is the story of how I am trying to achieve this. I have always loved nature, but my love for flowers really started when I was about six years old. As a Sunday treat my parents took me on nature walks, identifying wild flowers along country lanes in The Netherlands. When I wasn’t identifying wild plants I was playing in my parent’s nursery/garden centre and in the gardens. When we moved to Ireland my dad started a nursery again, I went to study horticulture followed by botany, working on the nursery during my holidays. About a year after finishing college I got a great job in a garden centre, but still something was lacking. I didn’t know what, until one of my friends mentioned something that happened on a field trip in college. ‘Do you remember that day we were on Bull Island identifying plants and you said you wanted to be like the guide someday?’ I started thinking about this and with some encouragement from my friends I set up Wildflower Walks Dublin that week and haven’t looked back since. I wanted to provide a service for people to enjoy wildflowers as much as I do and there did not seem to be anyone giving guided tours like this in Ireland. As well as this, I wanted to get to know more about wildflowers myself and by giving guided walks I find I have a goal to work towards. Quite a lot of preparation goes into preparing for walks, but it’s really enjoyable. First I pick a place to walk. Walks usually take place on the South side of Dublin in a park, along rivers or near the sea and are usually looped and are easily accessible by public transport. Once I have found a place, I note any plants I come across. This is the most exciting part, as you never know what you might find in a particular place on a particular day. 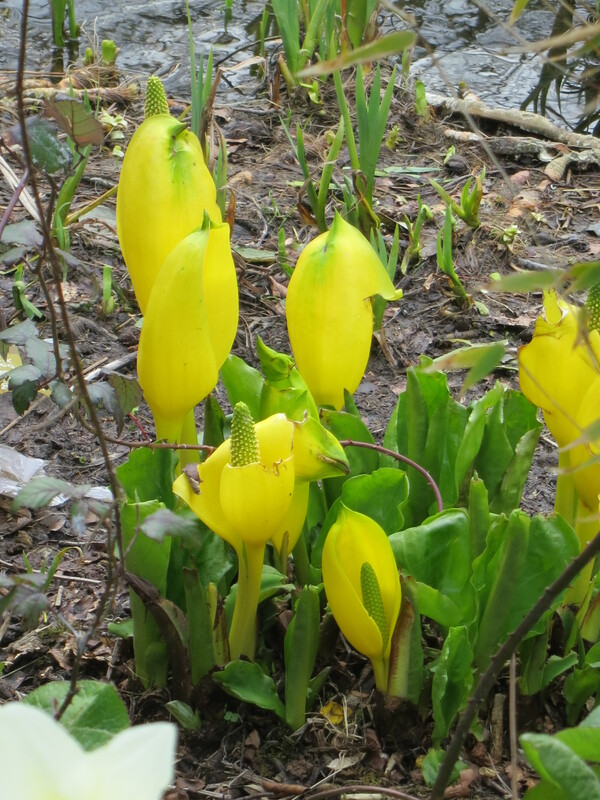 American skunk-cabbage, Lysichiton americanus in Marlay Park, an introduced pond plant which is potentially invasive. 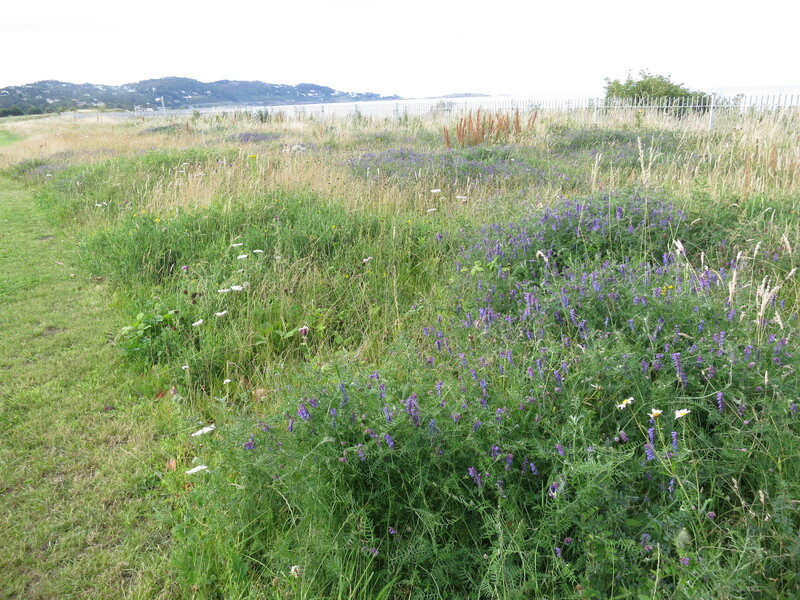 Wildflower meadow on Shanganagh Cliffs. Once I’ve made my list, I research plants I haven’t come across yet and I announce the walk on the Wildflower Walks Dublin Meetup page. Walks usually take place on Sundays or in the evenings during the summer. The walks usually start off with a very short history of the area we are visiting. For each plant we come across I mention how to identify it, when it flowers, historic uses of the plant e.g. Lady’s Bedstraw might have been used to stuff mattresses; any edible plants e.g. corn salad, chickweed, brambles, sweet chestnut, rosehips, dandelion; and any poisonous plants e.g. cuckoo pint, yew, spurge; and finally the reason behind the plant names e.g. 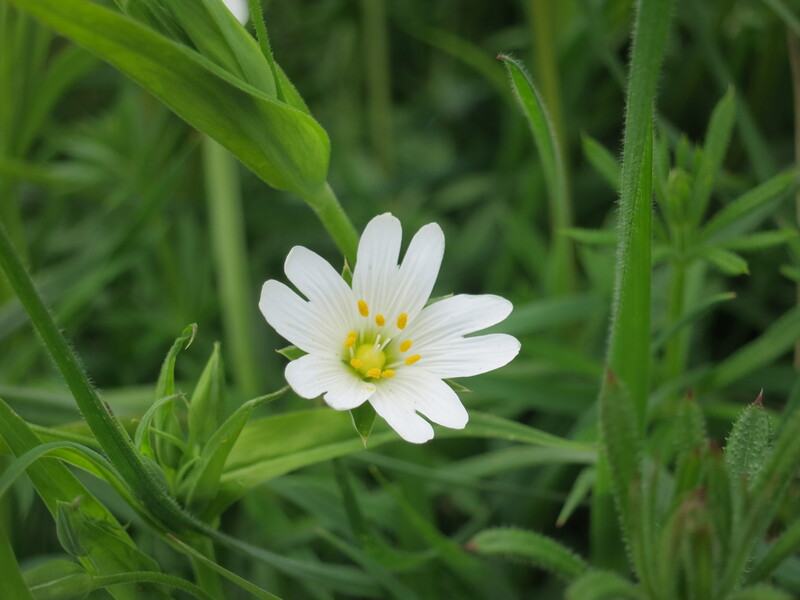 Stitchwort was used against pain in the side, i.e. a stitch. Greater Stitchwort, Stellaria holostea on Killiney Hill. 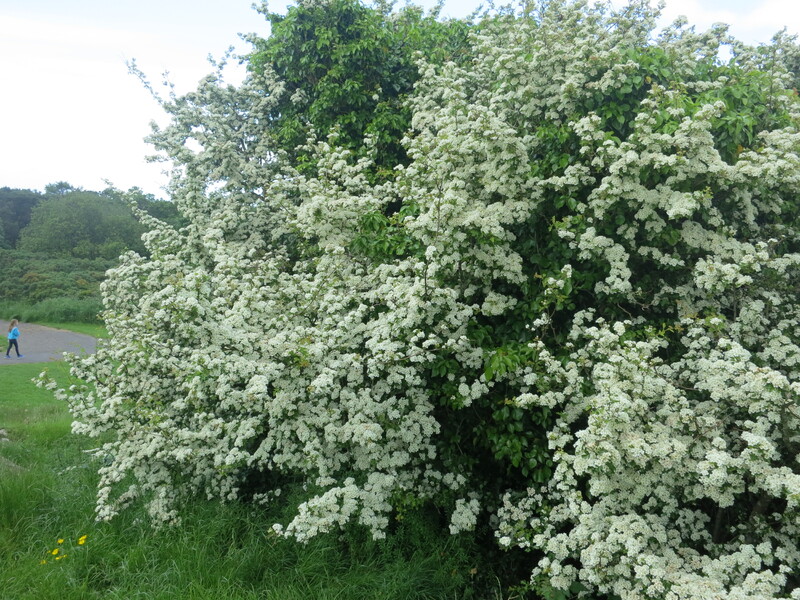 People might think of wildflowers as just the tiny flowers found around parks, but I also mention shrubs and trees and whether the plants are native to Ireland or not. Hawthorn, Crataegus monogyna on Killiney Hill, a native tree. Sometimes we encounter wildlife too. This can be anything from a cuckoo spit on a plant to fish and herons in the Dodder in Milltown to a lot of dead jellyfish on Sandymount strand or squirrels in St. Anne’s Park. 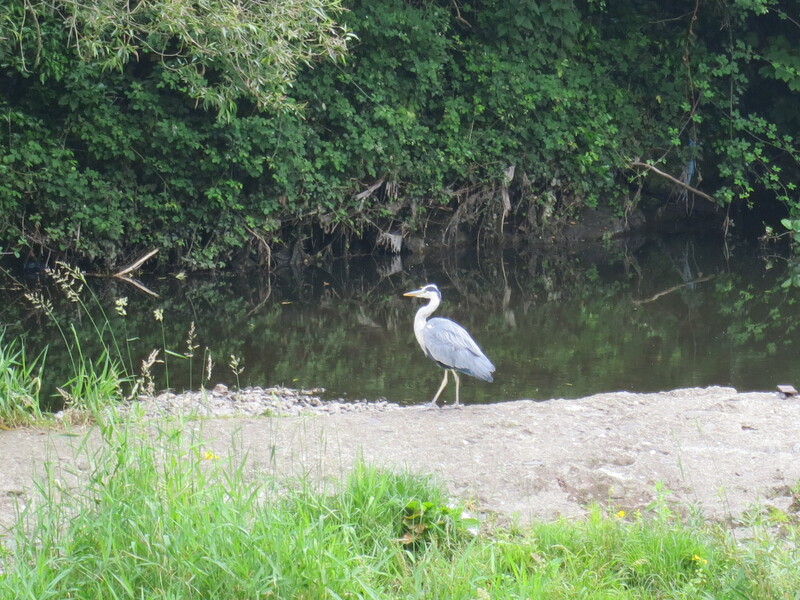 Heron in the Dodder in Milltown. 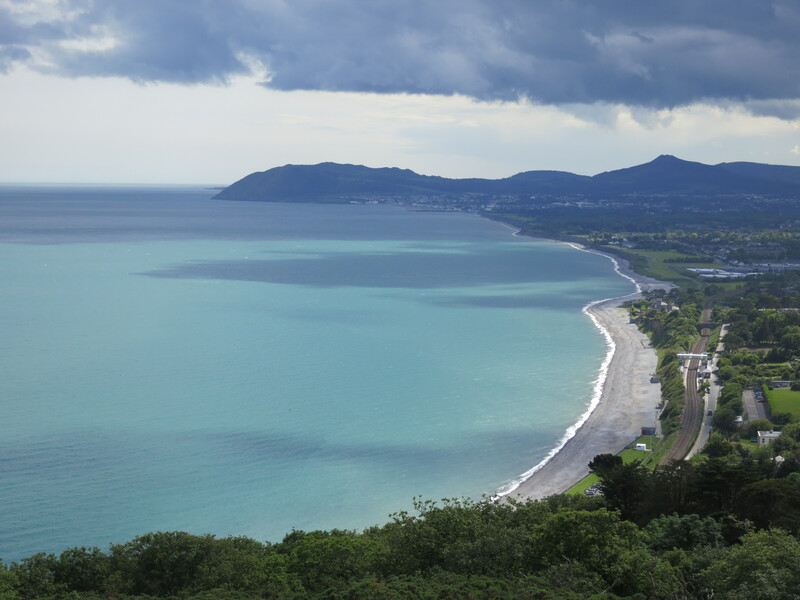 Views of Dublin bay on a Wildflower Walk on Killiney Hill, September 2014. I have recently started writing a blog, on which I mention information about the plants we have seen on recent walks. This includes myths, legends and historical uses of the plants and anything I don’t have time to mention on my walks. The walks are not only educational, but can be a great social event too. There are some regulars, but also new people on each walk and we often go for coffee, cake or a drink afterwards. Children are welcome to come along, as well as teachers, who can then tell kids about what they have learned. And as far as the weather is concerned, it has only rained once on my walks, so if you would like to have some good weather, come along to one of the walks. Love it!! Amazing, how everything is explained and the photos look stunning. Wildlife Corridors: What are they & why are they important for biodiversity?